Marijuana dispensary owner jobs represent one of the industry’s top positions. Dispensary ownership is a lifestyle as much as it is a career, requiring owners to invest much of their personal time (and capital) into their business, sidestepping any regulatory hurdles keeping them from industry success. It’s come as no surprise that the legal marijuana industry has provided some of the most fertile ground for entrepreneurship with six figure cannabis jobs and plenty of opportunities for earning a large personal payout. Marijuana Dispensary Owner Jobs: What is a Dispensary? Before you can adequately understand marijuana dispensary owner jobs, you must be introduced to what dispensaries are and how they work. The legal cannabis industry has secured dispensaries as the primary avenue for selling cannabis products to recreational customers and/or medical patients. Dispensaries have been around since medical cannabis legalization first took hold in California, although, they have developed significantly to meet increasing demand for a wide variety of products. In many ways, dispensaries live at the intersection between a retail shop and a pharmacy: upon entering, customers are greeted by a receptionist, where they are then checked in to see a budtender. In front of them is a diverse array of cannabis products to satisfy every consumer. You may hear cannabis flower and “bud” used interchangeably to describe the cured resin covered nugs of the cannabis plant. Flower is the most traditional method for consuming cannabis and can be smoked in a joint, blunt, pipe/bowl, vaporizer and more. Flower can be broken up into three major strains: indica, sativa and hybrid, which can then be subcategorized into the many different individual strains out there. Flower rarely contains more than 30% THC, which some smoker prefer in order to limit their consumption of the psychoactive cannabinoid. As medical cannabis has become more prevalent, flower strains with high levels of CBD have become fan-favorites. Marijuana dispensary owner jobs require a distinct knowledge of different strains, farms and growers, in order to sell the best products on the market. Cannabis concentrates have surged in popularity and offer consumers more diverse options for consumption. Concentrates are created by extracting essential compounds from cannabis plant matter. By introducing solvents, heat and pressure, cannabis extraction technician jobs separate the good stuff ie. THC, CBD and aromatic terpenes from the fats, waxes and chlorophyll contained in cannabis flower. Unlike bud, concentrates are high in THC content, often reaching levels between 75-80%. This high concentration level is particularly helpful for medical patients seeking more potent effects. “Dabs”, which are concentrates that come in the form of oils, waxes, shatters and crumbles can be smoked using dab rigs, but smokers beware: the high cannabinoid content may get you twice as high as you would with flower in half the time. Marijuana dispensary owner jobs come with the responsibility of finding reputable concentrate processors in order to keep bringing in customers. Edible cannabis products, or just “edibles” are food (and drink) items that have been infused with cannabis by an edibles chef. Edibles can be made either with CO2 extractions, or with the traditional process of cannabutter. Whereas smoking flower and concentrates creates a near-immediate high, edibles take longer for the effects to kick in, but sustain longer, more intense highs. Once again, this is a product that is especially relevant to the medical cannabis community who opt not to inhale smoke, or want longer lasting effects. Marijuana dispensary owner jobs in different states task owners with selling highly regulated concentrations of cannabis infused edibles. Topicals are non-psychoactive skin products that offer a range of health and skincare benefits that won’t get you high. Topicals can be used for dry or oily skin and use the properties of hemp or feminized cannabis to provide a spectrum of benefits. There are plenty more products in a cannabis dispensary’s display, as well as paraphernalia and apparel, however, these products are some of the most in-demand merchandise as reflected by new legalization measures. 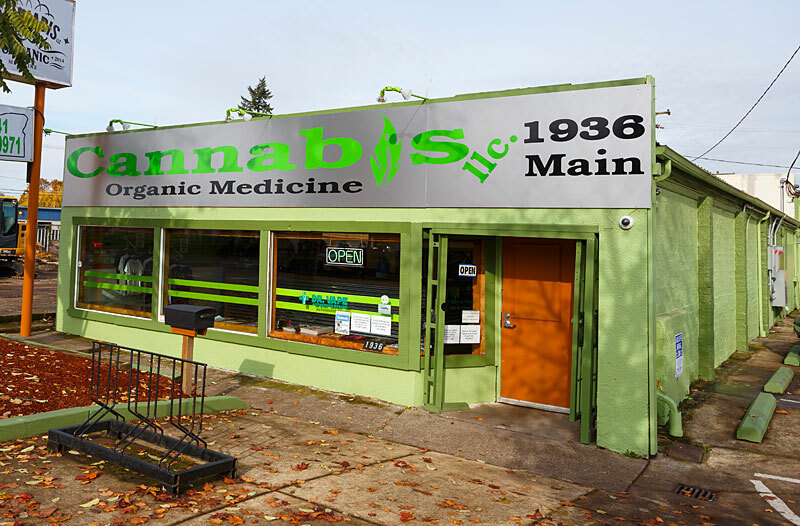 Marijuana dispensary owner jobs are multifaceted and the position begins long before the shop has been staffed and customers have purchased products. Opening up a dispensary in the legal industry is much easier said than done. Not only must dispensary owners apply for licenses, often on a lottery system, they also have to navigate through the confusing legislation of new legalization. Marijuana dispensary owner jobs encourage entrepreneurs to hire cannabis consultants, who have in-depth knowledge on cannabis law and can ensure that business owners don’t make mistakes in following compliance that could close down their business or even land them in jail. Once the dispensary has finally been opened, dispensary owners can be as hands-on as they want with the business, choosing either to focus on the administrative and financial aspects of the business, or to engage in daily sales activities with the rest of the staff. Just as important as marijuana dispensary owner jobs, are other staffed positions like budtending, dispensary management and reception. Each job maintains variable marijuana dispensary salaries, depending on the needs of the location. Dispensaries are team environments requiring every employee’s strict adherence to compliance. The following are some of the positions helping marijuana dispensary owner jobs run without a hitch. Budtenders are the main customer servers involved with selling legal cannabis products to customers. This entry-level to intermediate position engages workers in learning everything there is to know about cannabis law, products and history. Budtenders should be able to answer customer questions regarding specific products and recommendations for personal use. As the demographic of cannabis enthusiasts expands, budtenders must be able to give suggestions for the recommended dosage they should use and what products suit their personal and medical needs. Reception is an important administrative job where receptionists greet incoming and process any necessary identification forms. Receptionists are major players in keeping consistent compliance with rules and regulations, calling for them to constantly update online databases. Additionally, receptionists must be strong communicators, as they are constantly engaging with customers and business partners over the phone, via email and in person. Receptionists and budtenders both make hourly wages starting around $10 per hour, averaging between $11-12. Despite the mediocre wages, budtenders and receptionists reap the rewards of discounted cannabis products and potential to advance in the industry. Managing a cannabis dispensary is an all-inclusive position that calls for employees to think on their feet, as well as take and give direction with confidence. Dispensary managers are the middlemen between dispensary owners and subordinate staff. As such, they are responsible for both carrying out tasks as delegated by the owner, while leading other employees through daily operations. Typical marijuana dispensary manager jobs call for workers to review applications, interview and hire employees, as well as train them on store protocol and regulatory compliance. Additionally, managers are often tasked with maintaining business partnerships with grow-ops and processing companies. Managers will also engage in direct customer service responsibilities like budtending. Wages for dispensary managers reflect the amount of work they are responsible for. Some managers make hourly wages around $20 and above, though it depends on the setup of the shop. As recreational marijuana legalization has had time to settle in states like Washington, Oregon and Colorado, the nature of marijuana dispensary owner jobs reflects the stringent regulations of liquor boards. While cannabis products and alcohol vary greatly, many legal states’ laws are based on the discretion of these boards, putting cannabis under a greater microscope as a controlled substance. Since cannabis dispensaries are at the whim of liquor boards, marijuana dispensary owner jobs require keeping up with ever-changing laws. Failing to adhere to regulations results in harsh punishments, which could deter some potential business owners from moving forward. As the legal cannabusiness is given time to deepen its roots and expand its field of dominance, it’s likely that more consistent, comprehensive standards will be put in place to reflect more cohesive legislation for marijuana processors, growers, consumers and marijuana dispensary owner jobs.